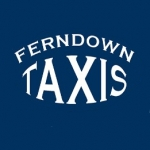 Ferndown Taxis is a family owned and run service that believes in the old traditions of value and service. Our aim is to provide an efficient and friendly service to the individual or group traveller. We are happy to quote for travel to ports, airports and stations throughout the South or, indeed across the country. Our modern fleet consists of either 4, 6 or 8 seat vehicles to suit your needs.